I usually have a pretty diverse Twitter timeline, a mixture of tech people, startup people, feminists, geeks, TV critics, media people, gamers etc. So when I open Twitter I usually get accosted with a wide range of topics. But last night all of these people kept mentioning llamas. What is it with llamas??? I was confused at first, but started to investigate. Apparently, a pair of llamas had broken out of a mobile petting zoo in Phoenix, AZ on Thursday afternoon (U.S. time) and eluded capture for quite some time as they dodged cars on busy streets and just barely evaded a multitude of human hands. No, this isn’t a move from the playbook. These llamas are naturals. But instead of becoming a minor mention in the media the next day the two escapees rose to instant fame as U.S. TV channels started broadcasting the recapture attempts as they would a high speed car chase. Meanwhile, Twitter exploded with hashtags like #llamadrama, #llamachase, #teamllama or #llamawatch as millions of tweeters, including celebrities, got swept up in the moment. The second Llama losing its newly gained freedom to a cowboy with a lasso. The Llamas were caught, eventually – the second one dramatically and with a lasso, but the damage was done, so to speak. Twitter had caught the llama bug. LEMME GUESS…THE WHITE LLAMA HAS "MENTAL HEALTH ISSUES" AND THE BLACK LLAMA IS A "THUG"
More diverse too RT @BAnderson_30: This llama chase is better than the Oscars. Stay around for this llama coverage. Don't go anywhere; alpaca lunch. 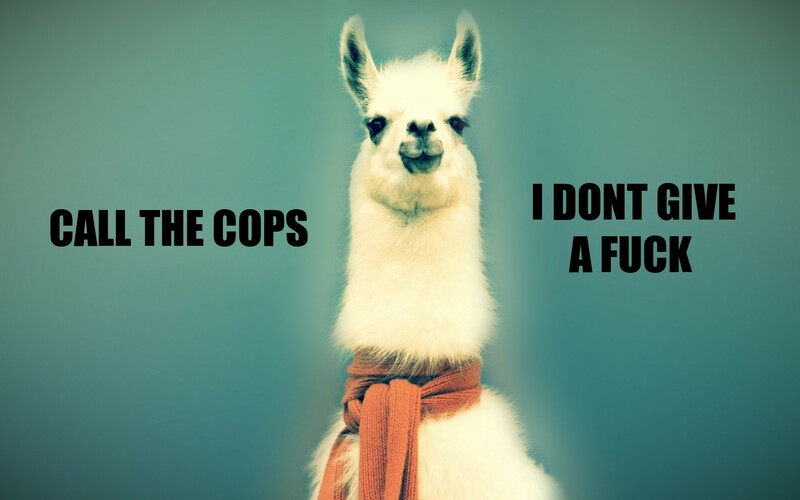 But #llamadrama is more than just an entertaining online phenomenon. It also shows how hashtags on Twitter can gain a life of their own. While brands have to put a lot of effort and finesse into making a hashtag campaign work the internet has the amazing capability to simply birth virality from nothing. In those cases the best a company can do is to just go along with it and ride the wave. Some brands were indeed quick enough to jump on the llama bandwagon. It should also be noted that Facebook simply doesn’t have this kind of immediacy. People tend to stay more nested in their real-life circles while on Twitter we tend to branch out, and the spark catches so much more quickly. But it’s usually over just as quickly as well. Blink and you’ll miss it. Within moments the conversation changes again, almost forgotten are the llamas as everyone is suddenly talking about a perception-thwarting dress. I have absolutely no idea what to watch next.